A line of credit is one way for individuals or businesses to access the cash they need to buy personal or business items, pay bills or make other cash payments. Generally, the different types of line of credit work in similar ways, but there are different uses for the lines, ways to qualify, and advantages and disadvantages for each option. A home equity line of credit is an option for homeowners who have built up equity in their property. Equity is the difference between the market value of the home and any liens or mortgages that are currently outstanding on the home. For example, if a home is worth $250,000 and the homeowner has an outstanding mortgage of $200,000, then there is $50,000 in equity in the home. The first qualifying factor for a home equity line is that you have to have equity in your home. Some lenders have "seasoning requirements" that require you to have owned the home for one to two years before accessing the equity that is built up in the home. Qualifying for home equity line is similar to qualifying for a mortgage. You have to submit an application. The lender reviews employment history, debt-to-income ratios and your credit report in order to determine if you qualify to take on the additional debt. A home equity line of credit is a revolving line of credit, so it works similar to a credit card, which is another type of revolving line of credit. When the homeowner pays down or pays off the balance on the line, it is available for use again. The interest you pay on a home equity loan may be tax deductible. Borrowers generally receive a checkbook and/or a credit card to access the line of credit. This makes it easy to make purchases, pay contractors or pay bills with the line of credit. The primary disadvantage is the equity line requires you to put your home up as collateral for the loan. If you default on the first mortgage or the equity line, the lender has the right to foreclose on the home. This puts you at risk for losing your home if you do not make the payments. Second, the equity line is a debt or lien on the home. This means that when you do sell the home, you have to pay off any mortgages or liens you have on the home with the proceeds from the sale. The more outstanding debt on the home, the less of a profit you walk away from at the sale. Finally, when the home sells, you have to close the line of credit. Most lenders cap equity lines of credit at 10 to 20 years or when the home is sold, whichever comes first. A personal line of credit is access to a source of unsecured credit or secured credit. If it is an unsecured line it is because it doesn't require an asset, such as a home, to be put up as collateral. If it is a secured line of credit, then a cash deposit into an account or a certificate of deposit (CD) is typically required as collateral for the credit line. A personal line of credit is limitless in what individuals can use the funds to cover. Some individuals choose to open the personal line of credit for emergencies, so that the source of cash is there when and if they need to access it. Other borrowers have a specific expense in mind, such as paying for a wedding or a college education for a child. Lenders prefer to extend personal lines of credit to individuals with good credit scores. An existing relationship with the lender can also be helpful. Qualifying for a personal line also requires you to show verifiable income. Another option is a secured personal line of credit. In this case, the borrower is able to put an asset, such as certificates of deposit (CDs), as collateral for the personal line of credit. For individuals with low credit scores, borrowing with a secured line is one way of qualifying for the loan in spite of the low credit score. A personal line of credit offers two primary advantages. First, it is a quick and easy source to cash. Financial experts suggest establishing a personal line of credit before you actually need it so that you have the funds readily available when the need strikes. Second, a personal line is an option for those that do not own a home or do not want to use their home to access the equity as a source of cash. 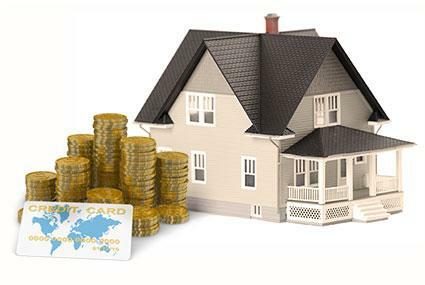 For those with others assets that can put up as collateral, it is a way of establishing a line of credit without using a home as collateral or offsetting a low credit score of other credit history problem. The primary disadvantage is that personal lines tend to have higher interest rates than a home equity line of credit. Also, the interest you pay on a personal line of credit doesn't tend to be tax deductible as is the case with a home equity line. While these types of credit offer a convenient way to access cash, which can be an advantage, the convenience of a personal line of credit can also be a disadvantage because people can access money for anything they want to buy. When using a secured line of credit option, it puts the collateral you put up at risk if you default on the line of credit. A business line of credit provides a business or organization with access to a source of unsecured credit. Some business lines of credit do require a business asset, such as an office building or machinery, to be put up as collateral for the line. Secured lines of credit tend to have lower interest rates than unsecured lines of credit. Secured lines of credit put the asset at risk for loss, however, if the business defaults on the line. A business line of credit can be used to make purchases for the business. It can also be used to pay bills for the business. The business line of credit can be used for anything business related. Banks and financial institutions prefer to extend business lines of credit to organizations that have a positive payment history and credit history. An existing business relationship with the lender can also be helpful when establishing a business line of credit. The business must be able to demonstrate that it has the income to repay the line. A business line of credit offers a convenient and fast way for businesses to obtain the money they need. As is the case with an individual, it is best for businesses to establish a line of credit before the money is required, so that the finds are readily available. A revolving line of credit is a continuously renewing source of funds. As you pay down or pay off the outstanding balance on the line, it is available for use once again. This is why it may be beneficial to establish a line of credit before you need it so that you have access to the money when and if the time comes.